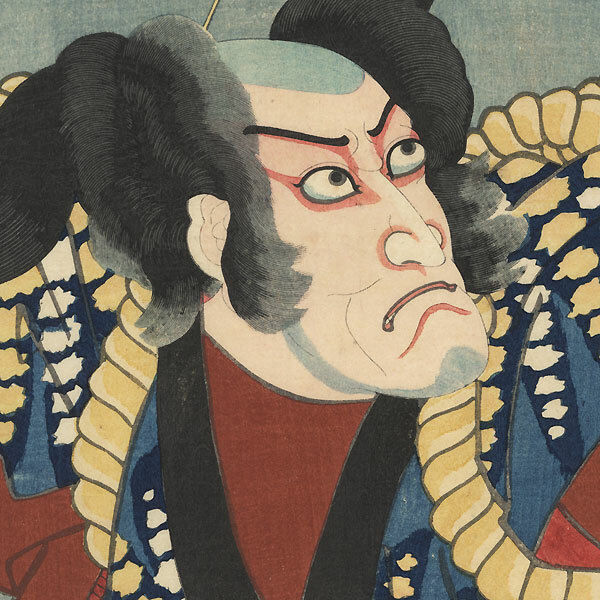 Comments - Great kabuki portrait of an actor as the gambler and money lender Soto-ga-Hama. 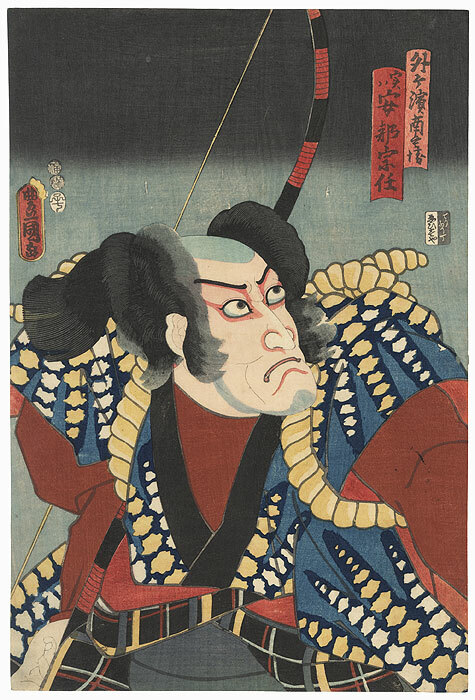 He is actually the samurai Abe no Muneto in disguise while planning to avenge the death of his father. He grimaces angrily as he looks up over his shoulder, a bow resting over his shoulder. 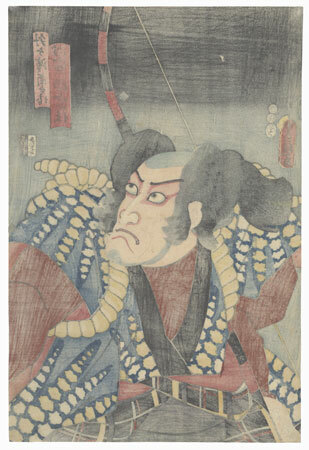 The sleeves of his black plaid outer robe have been pushed down to the waist, revealed a blue kimono with a bold tie-dyed pattern, the sleeves tied back with rope. A terrific expressive figure, detailed with fine line work in the hair, bokashi shading in the sky, and handsome wood grain impression in the background. Image Size - 14 1/4" x 9 1/2"
Condition - This print with excellent color and detail as shown. A couple small holes, repaired. Slight toning, a few small spots and creases. Please see photos for details. Good overall.